A collection of relaxed, classic knits that will remain in your wardrobe forever. 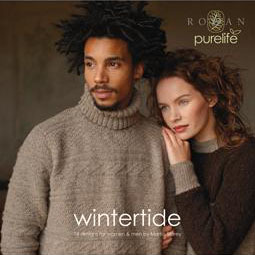 Featuring sixteen cosy designs for women and men including chunky half fisherman's ribs, traditional arans and reworked guernseys. You can make this a gift at checkout! Just check 'make it a gift'....pick wrapping and give us your custom message, and you're done!